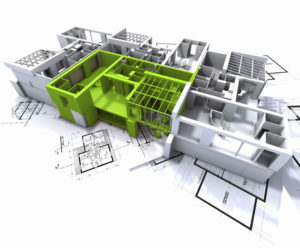 The Design-Build project delivery method provides the project owner with a single point of contact, known as the design builder, and combines the contractor and designers under one contract to minimize risks for the project owner, and to reduce the length of delivery by overlapping the design phase and construction phase of a project. The budget is developed concurrently with design at the earliest stages giving the owner multiple design options, along with cost estimates early in the process, optimizing potential to create a greater value to the owner. Soltek has successfully completed nearly 100 projects over the past ten years using the design-build delivery system, with a combined value exceeding $600 million dollars. This vast experience not only makes us well qualified to tackle any project, but also provides us with a proven method allowing us to successfully accomplish all aspects of a project’s work. 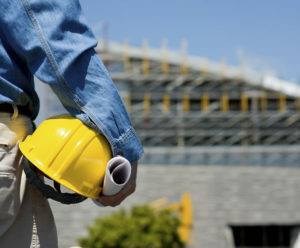 General Contracting is, quite simply, where a firm is contracted as the overall builder for a construction project. Under the General Contracting delivery system, the owner contracts separately for the design and construction of the project and retains responsibility for the overall project management. The design of the project is complete before the contractor is selected, and the contractor is selected through a competitive low bid process. This traditional delivery method has been used for many years in both public and private construction projects throughout the United States. 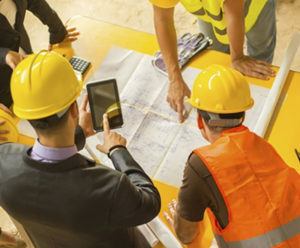 Although many alternatives have emerged, General Contracting is still the project delivery system most widely used in the United States today. Soltek has been a leading General Contractor in the Western United States since 1974, providing accurate, competitive estimating and experienced project management and is known for fair treatment of subcontractor and suppliers. The CM at-Risk delivery method utilizes the construction contractor as a consultant to the owner during the preconstruction design phase. The contractor works in tandem with the owner and architect to help develop a budget and a set of construction documents that will be used during construction. During the construction phase, the contractor in a CM at-Risk relationship bears the risk of subcontracting the construction work to trade subcontractors and often guaranteeing the completion of the project within a maximum price established during the design phase. The benefit of the CM at-Risk method over traditional Bid-Build is the involvement of the contractor in the preconstruction phase to help establish a budget and schedule that can be used during construction. Soltek has overseen the work effort of numerous projects as a CM at-Risk for several different clients. Our CM at-Risk services on these projects included the review and evaluation of the design professionals’ construction documents, schedule management, cost management, development and evaluation of scopes of work, analysis and recommendations of contracting methodology, assembly of bid packages, prime contractors’ acquisition and management, estimates of probable construction cost, validation of value engineering scope and estimates, quality control, administration of construction contracts as agent for the owner, and incidental administrative services required to facilitate project completion. The CM Multi-Prime delivery method involves the owner contracting separately and directly with each prime contractor on a project. The individual prime contractors are then responsible only for the work covered in their particular scope of work, but are not responsible for the entire project. Often, to assist in coordinating these Multi-Prime contracts, an owner will employ the services of an experienced construction manager. In the Multi-Prime Delivery Method, Soltek, acting as construction manager, serves as the owner’s representative and provides comprehensive management services. Compared to traditional Design-Bid-Build, this delivery method significantly changes the prime trade contractors’ relationship with the owner in that they contract directly with the owner rather than under a general contractor. This allows the owner to choose the construction management service provider by professional qualifications-based selection, rather than a “low bid” as would be the case for selecting a general contractor. The Design Assist project delivery method is a collaborative team-oriented process which capitalizes on the benefits of early engagement of both design and construction professionals, allowing them to utilize their areas of expertise to work as a team during the design phase. This method allows the team to detect and resolve design challenges and constructability issues long before actual construction. 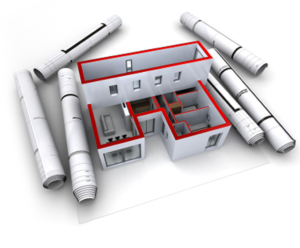 The reduction of design discrepancies and lower costs associated with making changes in the design phase rather than during construction greatly reduces the design related RFI’s during the construction process and provides greater value and efficiency to the owner. Under the Design-Assist delivery format, Soltek will be able to assist the owner’s architect with the design of the plans and specifications allowing for early coordination, producing improved value and efficiency. In years past, the construction process has had a distinctly linear organization with the owner relaying information to the architect, who would develop the design concepts which were then refined by the various engineering disciplines. Once the final design was complete, the project would be put out for bids and ultimately constructed by a contractor. This system often created conflicting incentives between the architect and contractor, with the architect’s sole concern being aesthetics regardless of budget, and the contractors concern being budget regardless of building form or function. To facilitate a more productive and useful building process, Soltek has sought to implement an Integrated Project Delivery (IPD) system. The IPD system uses a three-pronged platform with the owner, architect and contractor each occupying a space as they act together from the earliest stages of design to construction closeout. This system allows all the major entities of a project to be brought on board together so that the owner stays very involved and informed during the design process and into construction.